In 2018, the World Bank ranked Malaysia one of the easiest place in the world to start a business. This is a testament to how easy it is to start a business in Malaysia, especially with the right guidance from company formation experts in Paul Hype Page. All companies in Malaysia must be registered with the Companies Commission of Malaysia, known locally as Suruhanjaya Syarikat Malaysia (SSM). They are the statutory body responsible for overseeing and regulating corporate and business affairs. Being the capital city of Malaysia, Kuala Lumpur is not only the business hub for the country, but also the place most foreigners seek out to start their Malaysian company incorporation journey. To open a company in Malaysia is a fairly straightforward process. This guide will provide you with all the requirements you need for your Malaysia company incorporation process. Before commencing your business in Malaysia, it is important that determine your end goals. 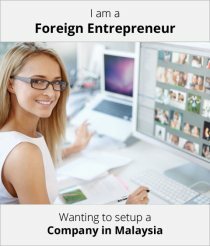 Why do you want to start your business in Malaysia? Clarifying your intention and reasons helps to put your goals into perspective. It is not just about preparing for the how to incorporate a company in Malaysia part, but why you’re choosing Malaysia as your base of business? When starting any business in Malaysia, chances are you might make it, or you might just fail. Not everyone that has started their business in Malaysia has succeeded. However, there are a few that actually surpassed expectation and eventually made it to the top too. Establishing a Business Plan. If you don’t have one, you should make one. No matter what type of business you’re in, big or small, you must have a business plan to start. A house cannot be built without a solid foundation. Think of your business plan as your foundation. This plan will be your guide throughout your business journey about what steps you need to take next, and where your business is heading. Do Your Due Diligence. Market research is essential to a business’s success. You must know what you’re getting yourself into. Know the risks, competitors, market trends, demand, and all the other key information that you need by conducting a thorough due diligence check before incorporating your company. Assess Your Finances. Where is the source of your funding coming from? What’s your budget like? Evaluating your finances is a crucial step to determining if you’re going to need additional funding solutions. The first stage would involve deciding on the business entity type you’re going to go with. Each entity has its own compliance requirements, benefits and tax structure. You must choose one based on what will work best for your business structure. For local entrepreneurs, your options consist of Sole Proprietorship, Limited Liability Partnership or General Partnership. If you are a foreigner, you can choose between a locally incorporated company, or a foreign-owned company. Foreigners may also opt to go with the Private Limited Company entity, representative office or Labuan company. Filling out the incorporation form. Paul Hype Page can assist with the name search check and revert within 24-hours. If available, your chosen name can be reserved once payment has been made. Search for a suitable business premise. Prepare a registered office address location. Once SSM has approved, the full set of registration documents must be submitted. Incorporate the company with SSM. SSM will inform you once the Issuance of Notification of Incorporation is ready. 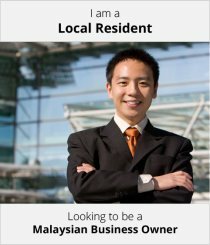 If you intend to relocate to Malaysia to run your business, you will need to arrange for your work permit. Paul Hype Page can provide assistance with that. Prepare the minimum paid-up capital of RM 1. Have a minimum of one director who is at least 18-years old with no prior criminal convictions and bankruptcy records. The director should also be residing in Malaysia. Have a minimum of one subscriber to the shares of the company. Have a minimum of one Company Secretary. They must be a member of any of the prescribed professional bodies or licensed by the SSM. Alternatively, Paul Hype Page can assist through our Company Secretarial Services package. Have a registered office address in Malaysia. Prepare your proposed company name and its meaning. State the primary business activities of the company. A copy of the NRIC or passport of all directors and shareholders. Recent proof of residential address of all directors (utility bills, phone bills, etc). Contact details and occupation of all directors and shareholders. Details of the beneficial owner (if they are not listed as the shareholder). Information about your paid-up capital. Expected location of customers and suppliers. Written confirmation from directors, shareholders and beneficial owners that they are not a Politically Exposed Person. Email confirmation is acceptable. Taxes in Malaysia are assessed on a current year basis. Income accrued, derived from or remitted to Malaysia will be liable for taxes. However, tax reliefs are available for individuals who are considered tax resident if the meet the required conditions. Malaysia reintroduced the Sales and Service Tax (SST) in 2018. Under this framework, imported and exported services are exempted from taxes. Manufacturer of specific non-taxable goods are also exempted from taxes on the acquisition of raw materials, and packaging to be used in manufacturing activities. A Shareholders’ Agreement is one of the most important documents for a private company. This document will outline the rules, obligations and responsibilities of the shareholders, their relationship with each other and their relationship with the company. This agreement is not a legal requirement, but if your company has more than a single shareholder, it is advisable that you get one. The contents of the Shareholder Agreement will vary depending on the company. Each agreement should be tailored to fit the needs of all parties involved. The benefits of this agreement include resolve potential issues/disputes before they happen. Upon successful completion of your business registration, you will need to acquire the necessary business permits or licenses before you can commence business operations. The compliance requirements for your business license would vary, depending on the nature of your business activity, industry and location. You will also need to fulfill any other corporate compliance requirements, which include fulfilling your income tax requirements, EPF and SOCSO requirements for employees among other things. All Malaysian companies will be required to operate under the Companies Act 2016 framework. There are two types of funding for your business. You could either choose to fund yourself (self-fund) or get a loan from a legitimate source. Family and Friends: If you’ve got supportive family and friends, it might be worthwhile to go to them first for a helping hand before turning to other sources of debt financing. Even though you may be borrowing from people you know, treat it like you would any other serious commitment. Draw up a written contract/agreement which clearly states the terms and conditions. This instills confidence in them that you intend to pay back the money you borrowed. Bank Loans: Malaysian banks have a long history of supplying loans to businesses that need it. However, acquiring a bank loan may be challenging if you’re a new start-up. Banks preferably want to see a profitable track record and what collateral you have at your disposal. SME Bank Loans: Start-ups benefit from this one. SME Banks supply loans to small and medium enterprises. There is even an SME Start-Up Programme specifically designed to help a new business launch. Angel Investors: Seek out an investor who believes in your business and is willing to take a chance putting a little money into it. In return, they to own a percentage of your business. You could even consider connecting with organisations who are already looking for businesses to fund, like Entrepreneurship Malaysia, MBAN or the Malaysian Business Angel Network. Crowdfunding: This peer-to-peer financing options is a relatively new platform in Malaysia as a source of getting business funds. PitchIn, CrowdPlus, FundedByMe, Eureeca, GoGetFunding, FundingSocieties, Actyvate, MyStartr and Crowdo are some options you could look into. A Partner: Looking for a partner with funds who will be interested in your business venture can be tricky. Unless you already have someone in mind that is. If you choose this option, bear in mind that your partner may want a say in how you run your business. Or they may want an important role within the company. While there is no harm in this, their business objectives may be different from yours. Incubators: Provided by governmental agencies, incubators are designed to help your business idea grow. However, the help provided may not be in monetary terms, but other forms of capital instead. For example, you may be provided with an office space where you could start your business venture. Venture Capitalists: A VC will invest in your business if they see there is something to be gained from it. These individuals or organisations will be willing to invest in you and your business, but only if you can prove your idea is a good one. You need to also show that you have a strong payback plan in place which not only returns the money they invested, but includes a profit too. NEXEA has a list of VCs available in Malaysia if you’re seeking investment at a later stage of your business. Licensed Moneylenders: With this option, you need to be careful about who you borrow from. Only enlist the help of registered, authorised or licensed moneylenders to be on the safe side. Ministry of Finance. They provide assistance through the Cradle Investment Program Catalyst, Cradle Investment Programme 300 and Cradle Seed Ventures Fund 1. These are available from the Cradle Fund Sdn Bhd company. Ministry of Energy, Science, Technology, Environment and Climate Change (MESTECC). They provide assistance through the Business Growth Fund and Commercialisation of Research and Development Fund. Both are provided by the Malaysian Technology Development Corporation Sdn Bhd. There is also the Bioeconomy Transformation Programme, provided by the Malaysian Biotechnology Corporation. Ministry of Communication and Multimedia (KKMM). Assistance is available through the Creative Industry Development Fund, provided by Suruhanjaya CommunicAsia & Multimedia Malaysia. There is also the Product Development and Commercialisation Fund, provided by the Multimedia Development Corporation Sdn Bhd. Multimedia Development Corporation (MDeC) Pre-Seed Fund. For entrepreneurs in the tech field looking to launch their business idea. Funds of up to RM150,000 are available. Your company has not conducted business since it was incorporated. Your company has no intention of commencing business. Your company is debt free. Your company has not paid any dividends to shareholders. Your company’s information is up to date. Your company is not a holding or subsidiary company. Your company is not a guarantor corporation. There are no business activities being carried out. There are no outstanding liabilities or assets. There are no outstanding penalties incurred under the Companies Act. There are no tax liabilities. There are no legal proceedings involving the company (in or outside Malaysia). A wind up can take place either mandatorily, or voluntarily. If it is voluntary, it must be done with the mutual agreement of all shareholders involved. If it is mandatory, the company is forced to wind up because it failed to comply with its obligations. If you have decided on winding up your company, you will need to sell off the company’s assets. The liabilities must be paid off, and the remainder distributed to the shareholders. The demand for Malaysia company incorporation services continues to rise. With that, Paul Hype Page is here to meet those demands by providing you with our Malaysia company registration expertise. As a leading incorporation services provider in Singapore and Malaysia, our on-stop solutions offer you the full array of end-to-end business solutions, all under one roof. Paul Hype Page has had a long-standing history of business excellence. We comply with all the existing laws, statutes and regulations so you can incorporate with ease. We make your incorporation process hassle-free and easy, so you can have your business up and running in no time.